Do you offer Green Solutions to control paper waste? I’m running out of room in my office because of piles of paper. I don’t need all of it. Plus, I want to help the environment by going paperless. Do you have any solutions for that? Yes. With electronic delivery of payroll reports and stubs, combined with our Employee Services module, a company can go entirely paperless. Please contact our office today to get setup for this great feature. I just paid out a huge amount for workers compensation. How does your product help? With our workers’ compensation pay-as-you-go plan, you pay for workers comp on real numbers. Each pay period the premium is adjusted to fit real payroll figures. This eliminates the need for a down payment and reduces the chance of owing during an audit tremendously. Please see our products page for more information. When is the latest time I can submit my payroll? We would like your payroll two business days before the check date, preferably before 2 PM. If submitted after that time, we will try our best to get everything done and out on time; however, we can’t guarantee anything after that will make the direct deposit or delivery schedule cutoff. What type of input method do you prefer? We prefer what you prefer. Online entry, email, fax, calling in, dropping off, or having one of our payroll specialists call you are some of many possible options. I received a tax form in the mail. Do you need it? If it is just a blank tax form, we do not need it. 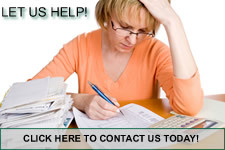 We produce our own tax forms for quarterly and year end processes. I received a tax notice in the mail. Do you need it? Yes. All tax notices contain important information such as tax frequency payment changes or unemployment rate changes. Please email, fax, or mail it to us as soon as possible. How can I sign up for LifeLock? Please visit our tutorial section for how-to’s on products such as LifeLock. When will we receive W2s? W2s will be delivered to the company on the third week of January. When will my account be debited for payroll direct deposits, taxes, and invoice? Your account will be debited any time after midnight the day before the check date. This will ensure on time delivery of direct deposit and timely payment of taxes. What can I expect to owe in employer taxes? Federally, all for profit companies have similar taxing situations. Every company must match the employees’ FICA and Medicare. In 2008, this is 6.2% of the first eligible $102,000 and 1.45% for all employees’ eligible wages. Federal unemployment tax is .8% of the first $7000 eligible wages. State taxes vary greatly from state to state. Most companies must pay their unemployment rate on eligible wages for each employee. For example, new companies in Massachusetts must pay 2.59% on the first $14,000 of each employee’s eligible wages. For individual states, please look at the links section to the unemployment agency for each state.